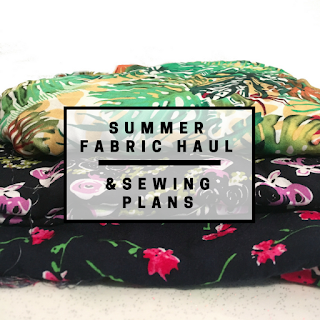 This is a super exciting post for me as it's my first fabric haul post. I've never been one to buy in bulk, rather I buy fabric for a specific project, make said project and then move onto the next one. However, since telling myself not to buy any more fabric before Kirstie's Handmade Fair in September, I only went and bought myself a load of fabric. A sneaky trip to Abakhan in Manchester was mainly to blame. As summer is drawing to an end (I say that, I've been sunbathing on the beach here in Brighton), I'm starting to think about wardrobe staples for the autumn. 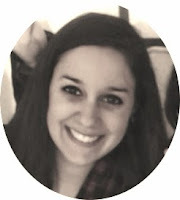 Frankly, I'm also really excited to whack on a pair of black tights, ankle boots, and wear a jacket for once. (Too soon? Sorry). So what have I been buying and what's coming to a wardrobe near me soon? 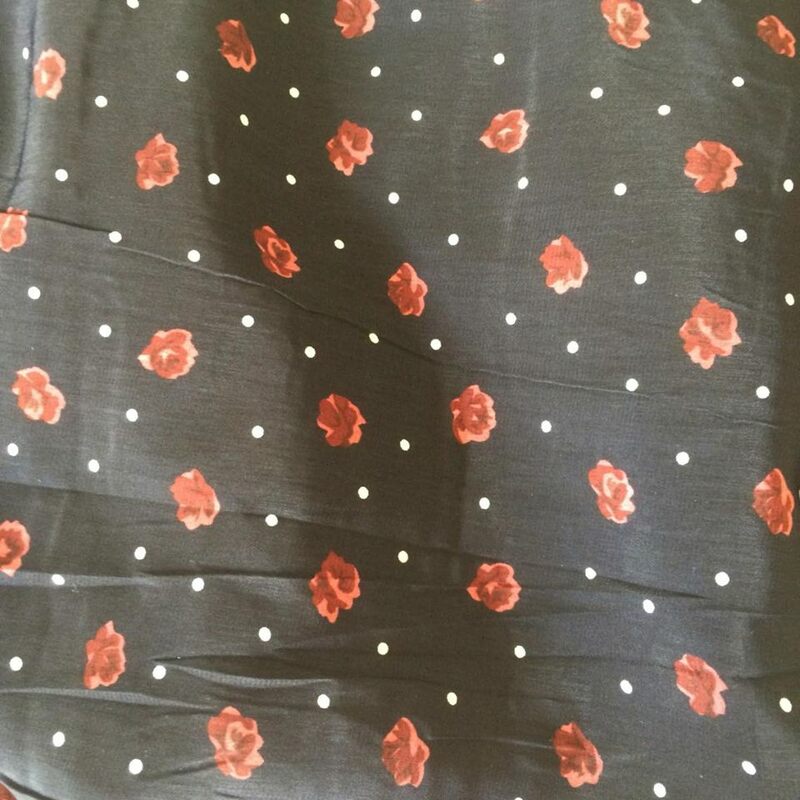 Firstly, this delightful crepe de chine that I found from an eBay seller. 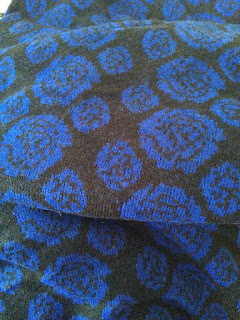 I've had the Sew Over It Ultimate Trousers for around a year now, and have only managed to make a pair of leggings with some stretch cotton. 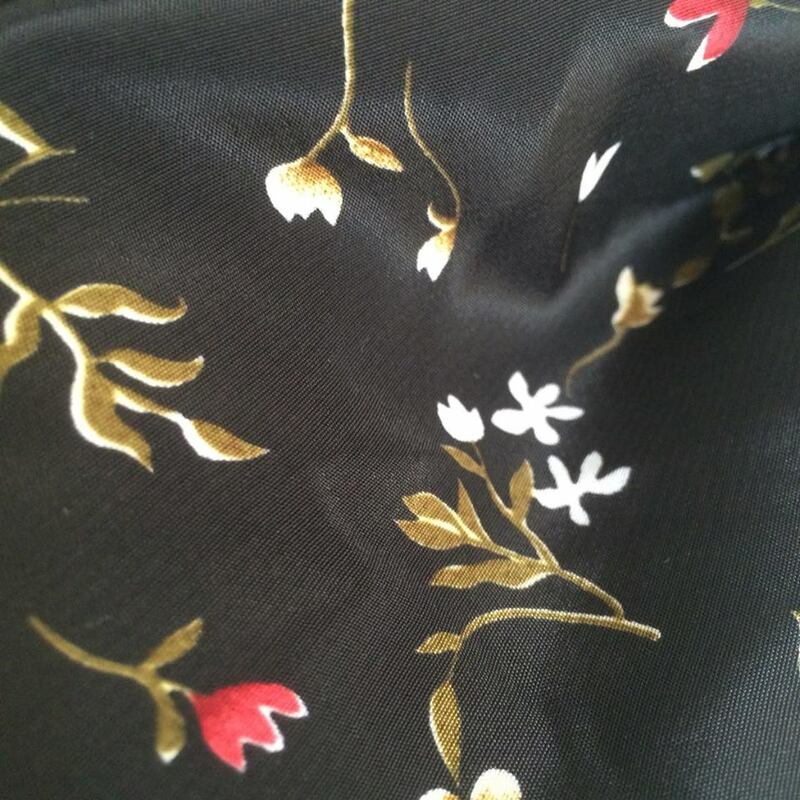 I'm quite particular about the fabrics I wear and I've found it really difficult to find a suitable fabric for the trousers. 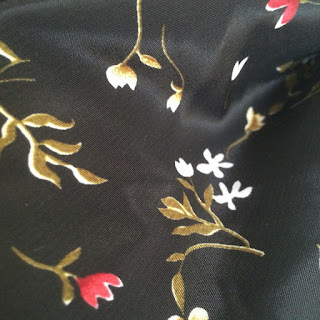 I wanted a pair of lightweight, but smart trousers so I decided on this crepe de chine. The fabric is soft, but it has this sort of vinyl finish that actually makes a sort of scratching sound when it rubs against itself. 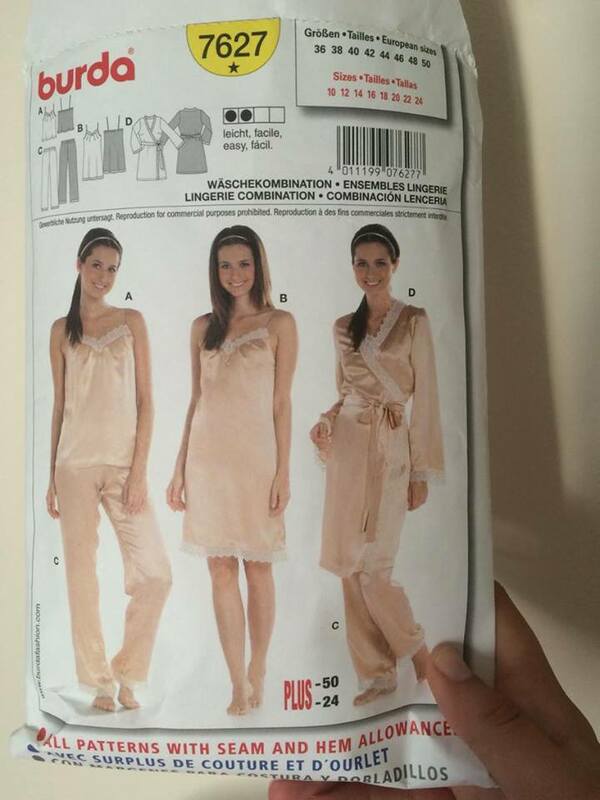 This would mean that the trousers probably aren't a good idea but I've got the pattern for a silky dressing gown that this fabric would be good for. Alternatively, I'm keen to create a simple cami top, a lot like the Sew Over It silk cami and this might be a good fabric choice for a toile. Wish me luck! The next fabric in my stash is this really cool knitted fabric. I was given this over a year ago and was never sure on what to make with it. Enter the Seamwork Astoria cropped jumper. The Astoria has been on my wishlist for a while, so I signed up to Seamwork, downloaded and printed the pattern. It'll be my first PDF pattern, my first time making any sort of knit wear, and I'm both excited and terrified. Recently, I ventured on a trip to Manchester to see my friends and visit Abakhan Fabrics. 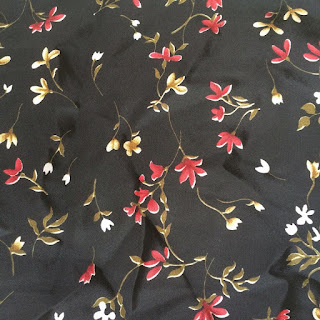 If you've not been there, you can buy fabric online, but visiting in person is like a dream come true. The shop is huge, with multiple floors of fabrics and all the trimmings and notions you can think of. 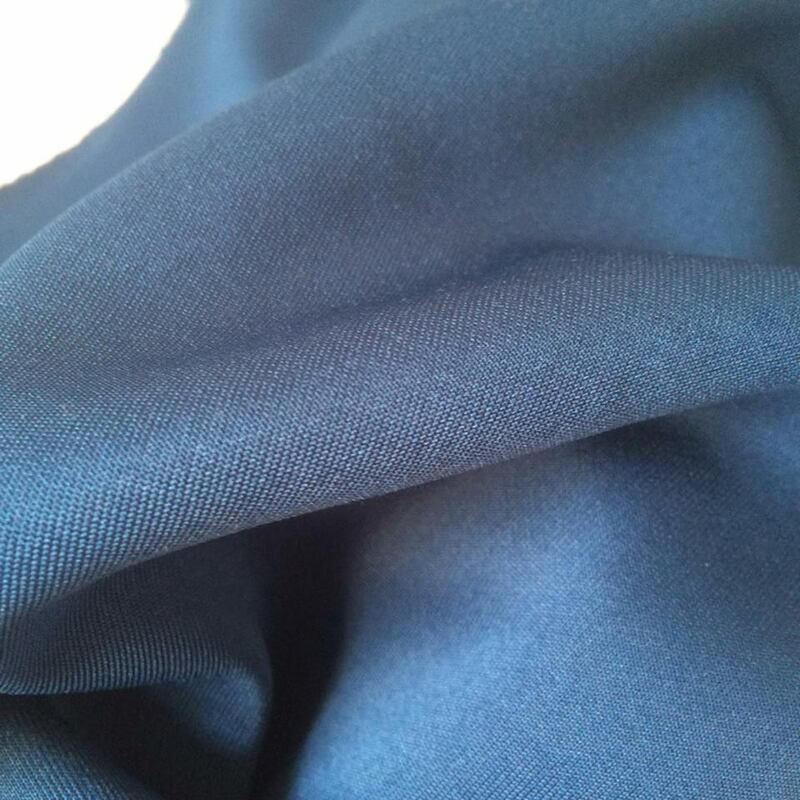 I've been after some scuba fabric for some time, and found this beautiful teal/blue fabric in Abakhan for a super reasonable price. The plan for this, is the New Look K6723 which I got free from a magazine. 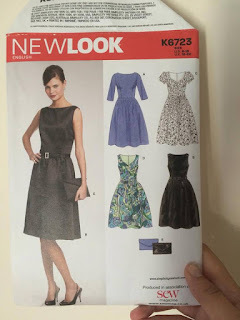 The pattern is definitely not meant for jersey fabrics, but the bodice includes a princess seam, and the scuba is a stable knit, so I think it'll work perfectly. 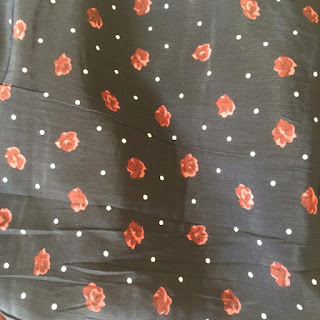 Finally, my friend spotted this fabric for me in Abakhan and said "Jenny, it's got polka dots on AND florals, it's you all over, you have to buy it." So I did. 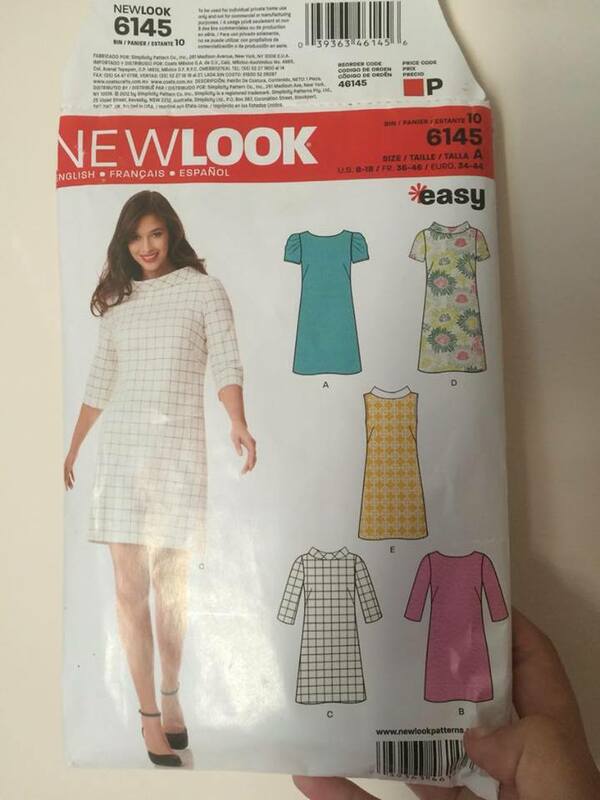 It's a thin polyester and I plan on making the New Look 6145 simple shift dress to transition from summer to autumn with ease. It's quite a slippery fabric so I must remember to take it slow and not get too over excited and rush this one otherwise it could all go wrong... Fingers crossed. So those are my plans. 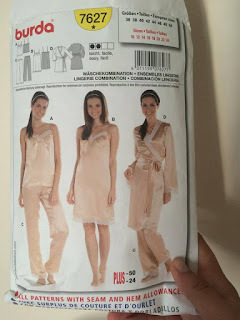 I best get on with some sewing!